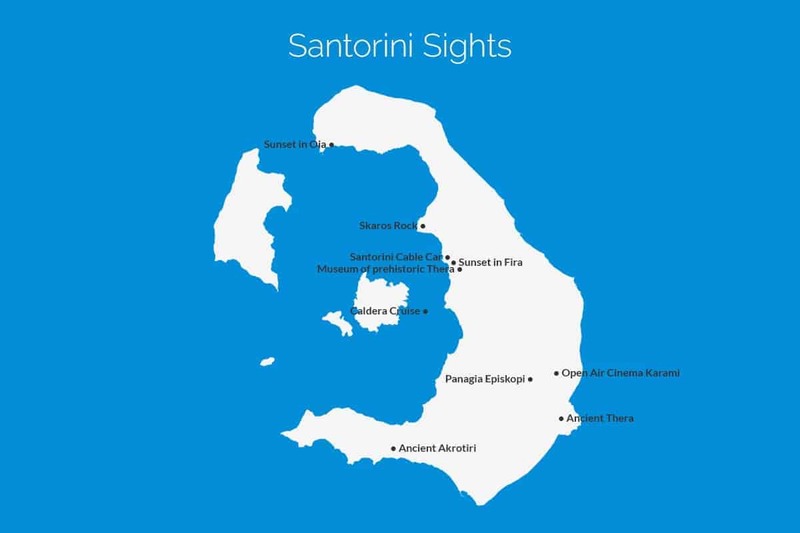 The Which Greek Island guide to sight seeing gives you an idea of what to do in Santorini. It gives you a list of the activities to try whilst on the island as well as places to visit and a list of the historical sites that are worth taking a trip to. You can Use the filters below to find the places and attractions that suit your tastes and once you’ve narrowed down the list you can then click on the individual items to read more about them. If you click too many filters and end up with no results simply remove one or two of the filters or click the all button to reset and start again.